In a 2015 Netflix documentary simply entitled “TIG.”, we get the chance to see a new side of Tig Notaro and get a glimpse of the struggles she’s had to overcome and triumphs she’s fought so hard for. This new documentary showcases key movements in Tig’s life, dealing with the rise and fall of fame coping with the loss of her mother, finding love and last but certainly not least, battling cancer. This documentary is a deeply serious film about a deeply funny person. It’s entertaining and heart-warming but its will also make you cry at times. 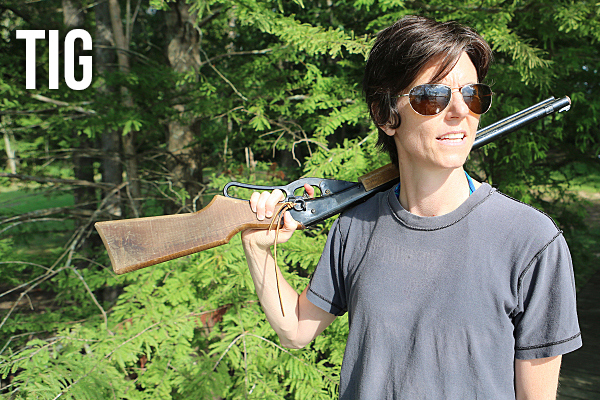 Tig is a “must-see” but if you don’t know much about Tig Notaro, we’re happy to share some details. As soon as she was diagnosed with cancer everything seemed to be funny to her. Her passion is stand up comedy and after her diagnosis she wanted to do it one more time. She performed one night at the Largo and other comics started giving her reviews and they went viral. In 27 years doing this, I’ve seen a handful of truly great, masterful standup sets. One was Tig Notaro last night at Largo. ~ Louis C.K. Tig was a nickname given to her by her mother when she was only two years old. She was born Mathilde O’Callaghan Notaro. 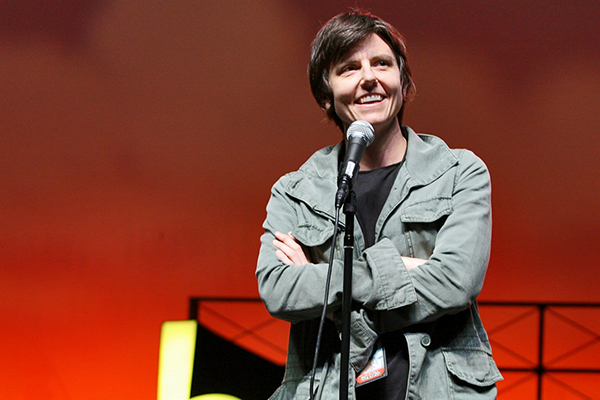 Since 2001 Tig Notaro has come a long way in her career as a comedian. This Mississippi native moved to Denver, Colorado early on and became involved in the music scene there. She created a company called Tignation Promotions and started managing bands. Her new career lead her to Los Angeles where she began to do stand-up for the first time. Notaro’s standup is usually delivered in a disaffected monotone, with a healthy dose of ironic detachment. She proved herself as a stand up comedian and landed acts on Comedy Central Presents, The Sarah Silverman Program, The American Life, and Conan. She started working on the film In A World and collapsed with a sever infection, later finding out she had Clostridium difficile colitis, sometimes a fatal condition where the intestinal tract gets eaten by the infection. Check out Tig. for yourself on Netflix and tell us what you think! This entry was posted in Women Crush and tagged Cancer, Comedian, Lesbian Comedian, TIG, Tig Notaro by Janey Grace. Bookmark the permalink.